Our Programming Team is responsible for turning concepts into working game features and ensuring those features work as intended. 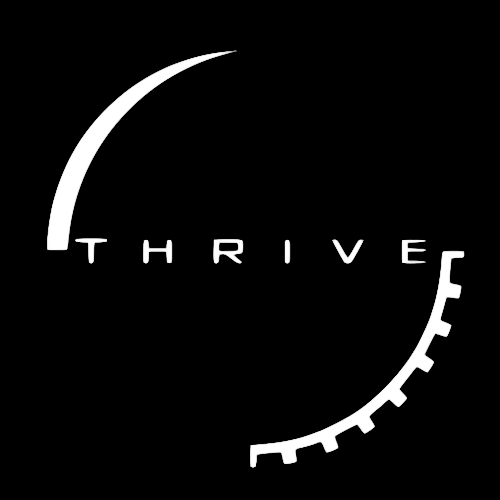 If you are reading this thread, you have likely decided to dedicate your talents as a programmer to the programming team for the ambitious project that is Thrive! If so, then welcome aboard! This thread is designed to best ease you and other new programmers into the process of developing the game, and providing you with all the relevant information you need. Types of work: Scripting, engine programming, interface programming, graphics programming (until a separate team can be formed) etc. Programmers are the most valuable team members, since without them the game wouldn't exist. The Programming Team is responsible for scripting and engine work, as well as aiding other teams (particularly the Graphics Team) when adding assets to the game. Thrive is coded in C++ and AngelScript. Our code base can be found on GitHub. Anyone is free to fork the repository and make changes to their own versions, but all contributions to the master must be done with permission from a veteran programmer. Minor changes can be made on the master branch, but larger features or fixes should take place on separate branches, which can be merged with the master via a pull request. Assets are stored on a SVN server (see below). Other programmers will be on hand to help you get to grips with the code, but reading some of the links below first will help. The programming team is always a hub of activity, and here are some of the big tasks on the plate for the team at the moment. working on those issues will also help thrive. Some of them are explicitly tagged as needing to be resolved for some feature in Thrive to progress. Take your pick of what interests you. If you find that there is something you want to work on that is not on the list that you want to work on, feel free to let us know! As explained above, this is the primary resource for Thrive's programmers. It hosts our official releases alongside the two resources listed below. Our main programmers will gladly help you set up a development environment to work with it effectively. The most important information for script authors, C++ programmers and asset creators. Read this before starting any programming work. Covers the programming guidelines for code within our repository. Should also be read thoroughly before contributing. Stores all the game's assets. This is outdated: Here is a guide to installing Tortoise SVN (steps six and seven). Once you've created an SVN folder on your machine, you can right click to update (giving you changes made by everyone else since you last updated) and commit (adding your changes to the master SVN for others to receive). Starting with 0.4.0 we will use a new engine. Documentation for it is available online here. How do I join the Programming Team?